Lok Sabha Election 2019 phase 1 in 91 constituencies across 18 states and two Union Territories began at 7 am and will continue till 6 pm on April 11, Thursday. A tough contest between the Bharatiya Janata Party and the Congress is on the cards. Lok Sabha Elections 2019 Voting Live: Total voter turnout in West Bengal: 81.94% in Coochbehar, Alipurduar 81% by 5PM. Lok Sabha Elections 2019 Voting Live: Voter turnout till 3 pm in Jammu and Kashmir is 46.17%. During the first phase, following states are witnessing polling – Andhra Pradesh, Arunachal Pradesh, Assam, Bihar, Chandigarh, Jammu and Kashmir, Maharashtra, Manipur, Meghalaya, Mizoram, Nagaland, Odisha, Sikkim, Telangana, Tripura, Uttar Pradesh, Uttarakhand, West Bengal, Andaman and Nicobar Islands, Lakshadweep. In Andhra Pradesh, this is the first general election after the bifurcation of the state in 2014. Polling for all 25 Lok Sabha and 175 assembly seats will be held simultaneously. There are 2,118 candidates for the state polls and 319 for the Lok Sabha elections. TDP chief and CM N Chandrababu Naidu will be seeking election from Kuppam, while his son Nara Lokesh is making his electoral debut from Mangalagiri. YSR Congress chief Y S Jaganmohan Reddy, an aspirant for the CM’s post, is fighting from his family’s pocket borough Pulivendula. Meanwhile, polling is underway in all 17 Lok Sabha seats in Telangana. There are 443 candidates in the fray. Congress leader Renuka Chowdhary (Khammam), AIMIM president Asaduddin Owaisi (Hyderabad), state Congress president N Uttam Kumar Reddy (Nalgonda) and daughter of TRS president K Chandrasekhar Rao, are among the prominent candidates. In Uttar Pradesh on eight seats, the ruling BJP will clash with the newly-formed SP-BSP-RLD alliance. Meanwhile, voting is currently underway in Maharashtra’s seven Lok Sabha seats Maharashtra. In Bihar, four Lok Sabha seats are witnessing polls. LJP leader Chirag Paswan is contesting from Jamui reserved seat. He is the sitting MP and is locked in a virtual straight contest with Bhudeo Chaudhary of RLSP. In the North East, of the two seats in Arunachal Pradesh Union Minister Kiren Rijiju is seeking re-election from Arunachal West. Polling is underway in four seats of Assam. In Chhattisgarh, one Lok Sabha seat, Bastar, is witnessing polls. 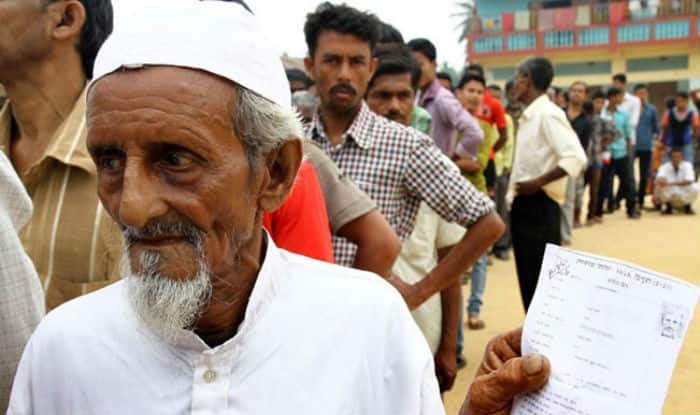 On the other hand, sixty lakh voters are exercising their franchise in the first phase of polls for four Lok Sabha and 28 assembly seats in Odisha. Two seats each in West Bengal, Jammu and Kashmir and Meghalaya are undergoing polls in the first phase. Lone Lok Sabha seats going to polls on April 11 include Mizoram, Tripura, Manipur, Nagaland, Sikkim, Andaman and Nicobar, and Lakshadweep.